lauralovescakes...: New Year, New Look! Welcome to my new look blog for 2013! I've been blogging for a little over a year now and I thought it was time for a makeover. I hope you like the new look. In addition to the new design, there's also a couple of new features for the new year. 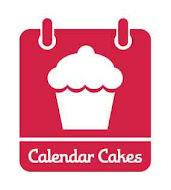 You can now check out the latest Calendar Cakes Challenge or round up by clicking on the link on the title bar. In addition, you can read reviews of some of the best afternoon teas in London again by clicking on the title bar. Baking Buys - Some of my favourite gadgets and baking must-haves. 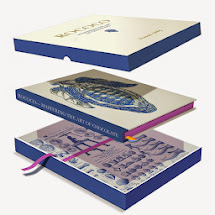 I'll update the baking buy every month and the link will take you through to the retailing website. What's in Season - Updated every month you can see a list of all the fruit that is currently in season...so it'll be perfect for baking. The list will also included imported seasonal fruit. So there we have it...I hope you enjoy the new look as well as the new features...and thank you for taking the time to read my blog during 2012. 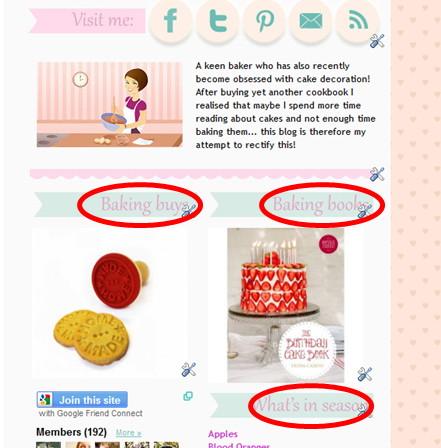 I look forward to continued baking in 2013 and reading all the other great foodie blogs out there. I love Laura look beautiful! Great new look for the new year. Hope 2013 is a good one for you. What a sweet new design! I like your baking buys section! 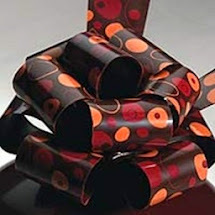 What a lovely design - it's so nice to start the new year with something fresh isn't it? Your new design looks beautiful Laura. Mines due for a makeover too. Lovin' the new look Laura. Look forward to your recipes in 2013! Looks very professional Laura, well done and Happy New Year. Well done on a fabulous layout! I have to admit I'm slightly jealous you've managed to find the time to do it. A blog re-design, along with a move to wordpress is something I've been wanting to do for years. I'm hoping this year is the year! Create Your Very Own Recipe Book!